23 the fact. It was secured December 25th. 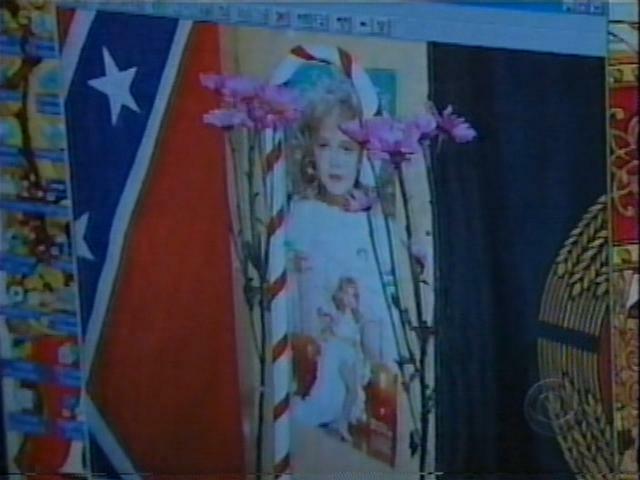 "A man living in a suburb east of Boulder who an informant said had a basement shrine to JonBenet. 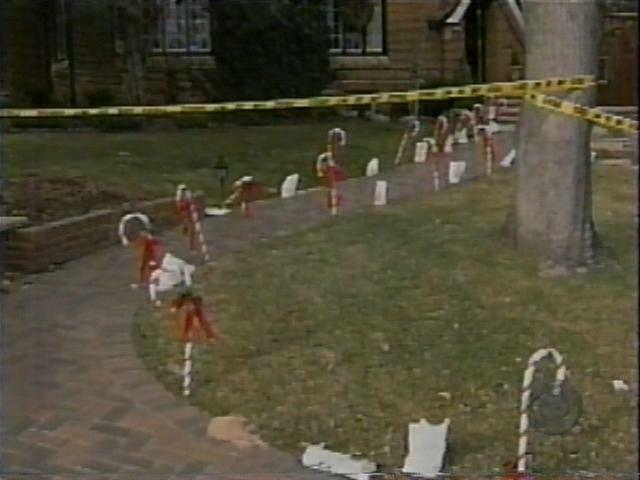 The shrine included a candy cane similar to the candy canes in the Ramsey's front yard at the time of the murder. The tipster also said the man owned stun guns. Gray said, to his knowledge, Boulder police have never contacted the tipster since Gray provided authorities with the information." "Erin Moriarty: There is this man who investigators refer to as Candy Cane Man"
"Erin Moriarty: But it turns out that some of the canes were missing the next day, when JonBenet's body was discovered. 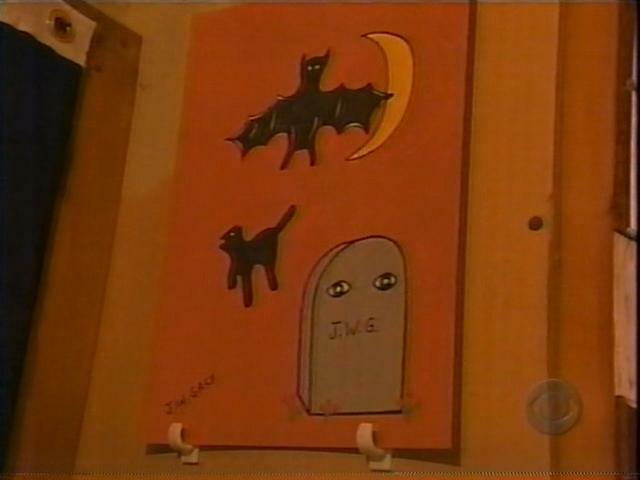 Investigators fear they may have been taken by the killer or killers as a bizarre souvenir, which led to this man." "Erin Moriarty: This year, he voluntarily gave investigators a DNA sample, and was cleared when it didn't match the Ramsey crime scene DNA"
18 that a month or two ago. Erin Moriarty: And now the same DNA that saved the Ramseys from indictment is finally being used to check out the dozens and dozens of suspects who were ignored for years. 48 Hours has learned that investigators are now doing what they call a "grab and swab." Using a simple cotton swab like this, they are tracking down people of interest and demanding a DNA sample from the inside of their mouths. 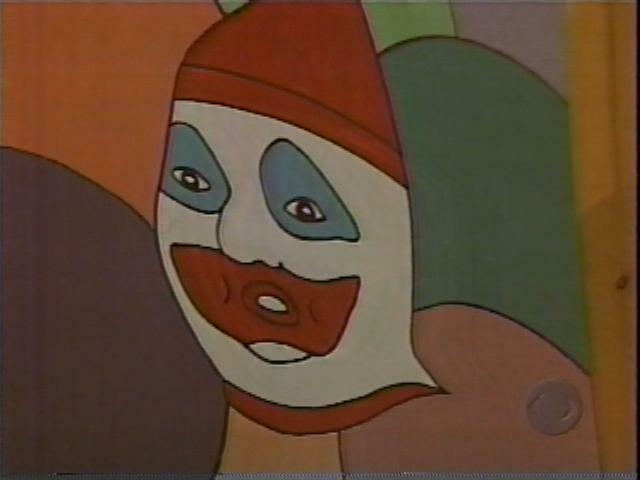 Those people of interest make up an incredable lineup of misfits and criminals who all have one thing in common, a bizarre fascination with a six year old beauty queen. Erin Moriarty: Where did this come from? 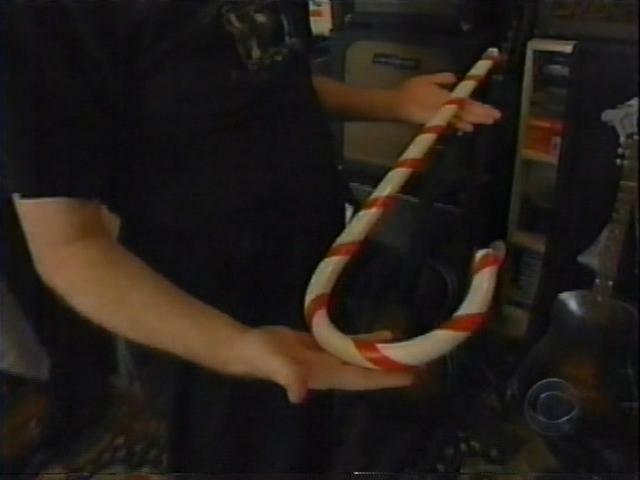 Candy Cane Man: This was the infamous Globe that came out that had the autopsy photographs in it. Erin Moriarty: There is this man who investigators refer to as Candy Cane Man. Erin Moriarty: The Ramseys home? 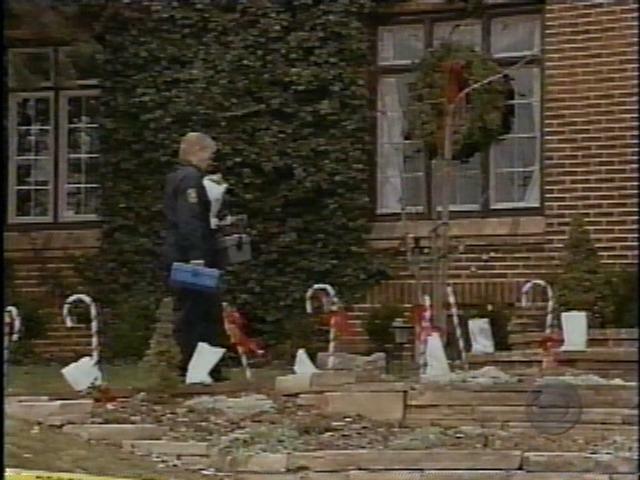 Erin Moriarty: This is one of the decorative candy canes that lined the Ramsey's front walk on the night of the murder. Erin Moriarty: When did you take this from the house? Erin Moriarty: Why the candy cane? 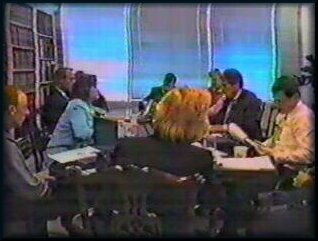 Erin Moriarty: But it turns out that some of the canes were missing the next day, when JonBenet's body was discovered. Investigators fear they may have been taken by the killer or killers as a bizarre souvenir, which led to this man. 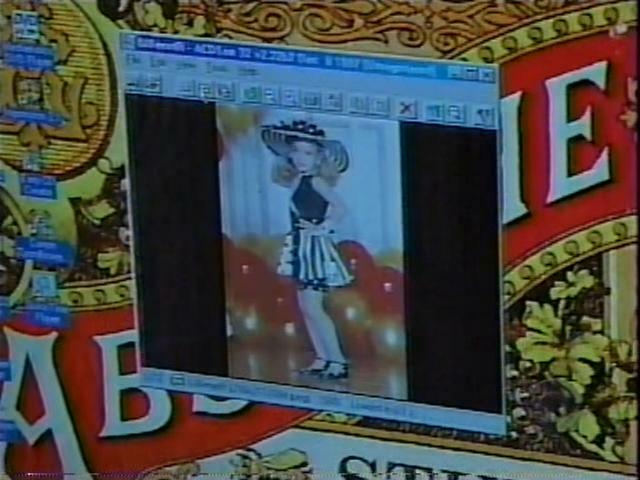 Candy Cane Man: These are all pictures of her performances, stills and videos. Erin Moriarty: He admits once having an obsession with JonBenet. Now this is actually where you had the shrine? Candy Cane Man: Yeah. It was over here. Erin Moriarty: He even dedicated a shrine to her that he now keeps on his computer. 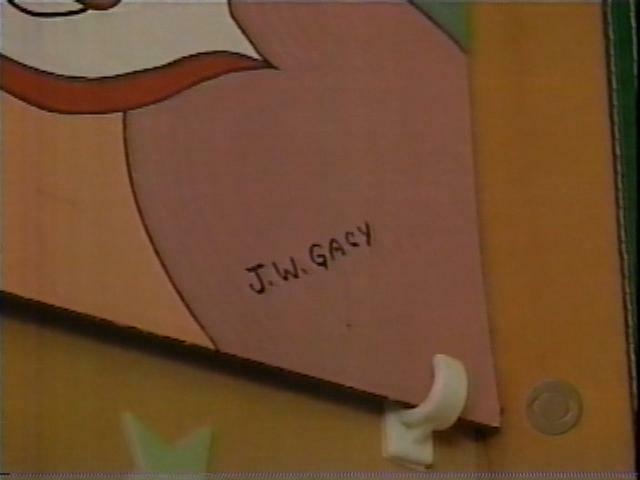 And there is also his fascination with infamous killers, particualar serial killer, John Wayne Gacy. 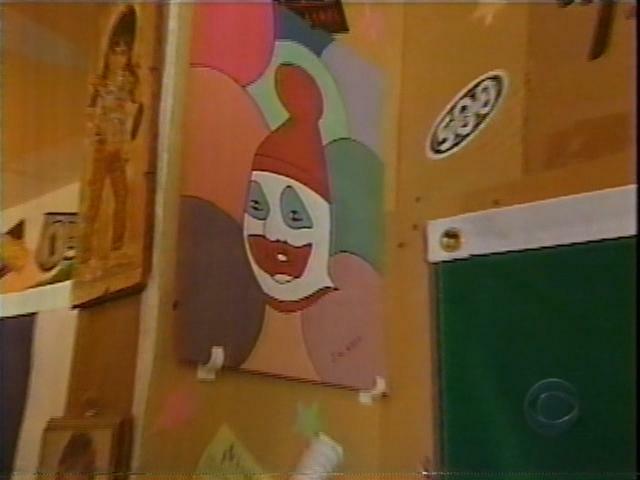 Candy Cane Man: I have original John Wayne Gacy pictures. Here's one right here and there's one right there.